We’re excited about what’s inside The Era Of EDM Crate December 2017. We received many Christmas orders which made sending our boxes out very sentimental. 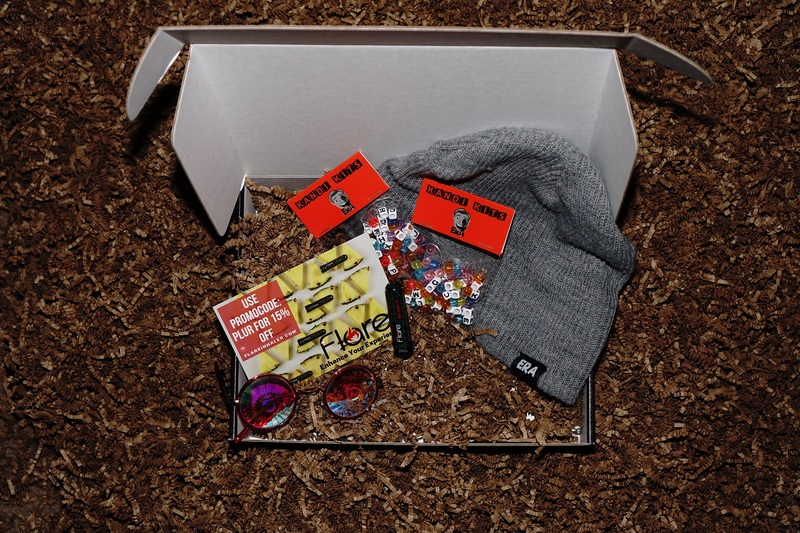 What was also exciting about our December crate is that our beanies where a HUGE hit and it included our first partnered product. Below we’ll go through everything we included in our December crates! 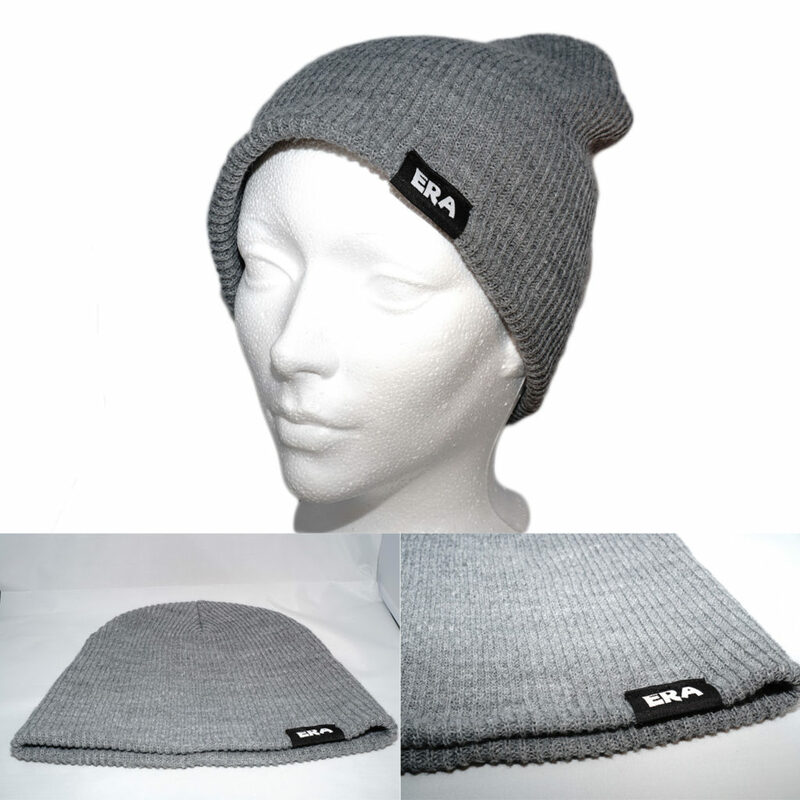 Our ultra-soft, unisex, slouch style beanies were a huge hit within our December crates. Stylin’ and so comfortable. Flare is a sensational nasal inhaler that breathes a blast of fresh air through your sinuses. Available in so many delicious flavors, these inhalers were a slam dunk among our subscribers who received our December boxes. Their purpose is multi-faceted when at a show, and the flavors are spot on. 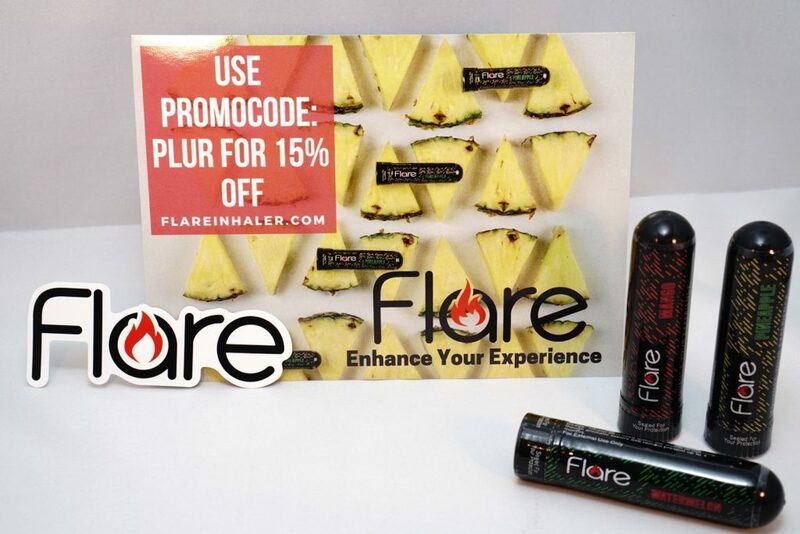 This was our first partnered product and we couldn’t be happier as our friends are Flare are nothing but pros and bellwethers. You know the deal! Kaleidoscope glasses. But not like the ones you see everywhere. 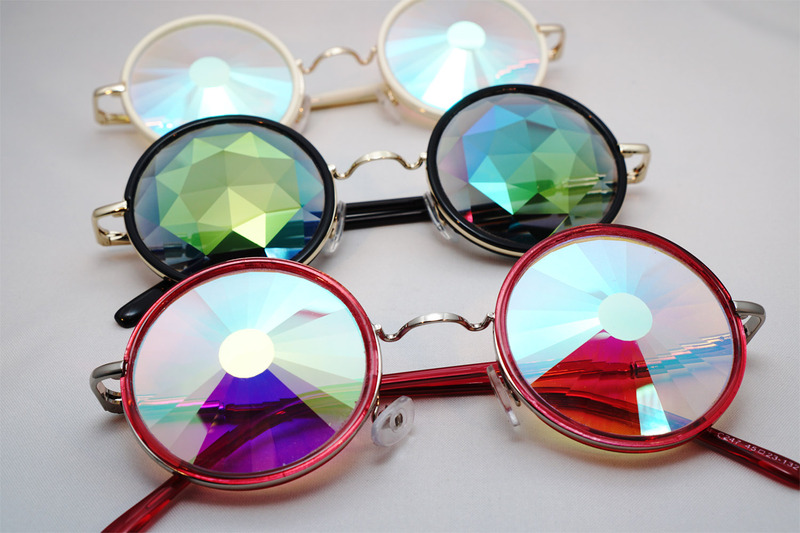 Our premium Kaleidoscope glasses are crafted of heavy duty plastics, a metal frame and real glass. They fit and feel good on the face, and wow do they look good! Select models also have a “wormhole” which is a hole in the center of the glass that allows what you’re looking at to still be distinguishable but still kaleidoscopic. These glasses were another hit of our December boxes and will be made available for purchase individually soon. Not a subscriber? 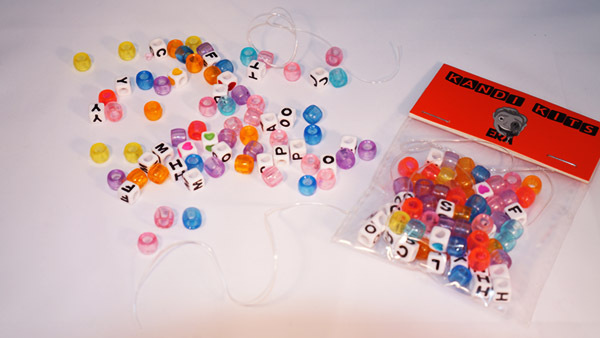 You can be and you’ll receive monthly gear to add to your festival/ rave experience.